This Eight Hour Cream Lip Protectant (SPF15) contains the world renowned 8 Hour Cream in a Super Protective, portable lipcare formula. Enriched with emollients, protective sunscreens and antioxidant vitamin E. Clinically and dermatologist tested. Inactive Ingredients: Castor (Ricinus Communis) Oil, Ozokerite, Glyceryl Rosinate, Cetyl Lactate, Lanolin Oil, Myristyl Lactate, Cetyl Acetate, Candelilla (Euphorbia Cerifera) Wax, Carnauba (Copernicia Cerifera) Wax, Beeswax, Tocopherol, Acetylated Lanolin Alcohol, Microcrystalline Wax, Corn (Zea Mays) Oil, BHT, Methylstyrene/Vinyltoluene Copolymer, Fragrance, Butylparaben, Propylparaben, Iron Oxides. This is really nice lip product all though it is a little expensive. The product comes in an attractive classy twist up lipstick style applicator. The product is colourless although you can get tinted versions. It contains protective SPF15 sunscreen and antioxidant vitamin E. The product glides onto the lips easily and does not leave them sticky or tacky but there is a beautiful soft sheen in appearance. I found that this product immediately moisturized and soften my lips and as a night treatment it is fantastic. I would layer this on before sleeping and in the morning my lips were super soft and moisturized. Smell, Applicator, Packaging, Leaves lips soft and moisturized. Wouldn't buy this again purely because of the price but I do really like this balm and the way it feels on my lips. Great lip balm. Can be used over lip stick to give a gloss look. Can get coloured versions as well which are also super. Is very soft and breaks easily. Also heats up and gets even softer when kept in your pocket (which I do when travelling). Good product to keep in handbag but for everyday use, the 8 hour cream is just as good and will last much longer. 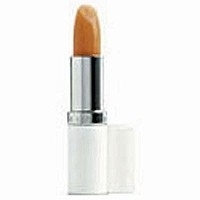 "This is really nice lip product all though it is a little expensive. The product comes in an attractive classy twist up lipstick style applicator...."